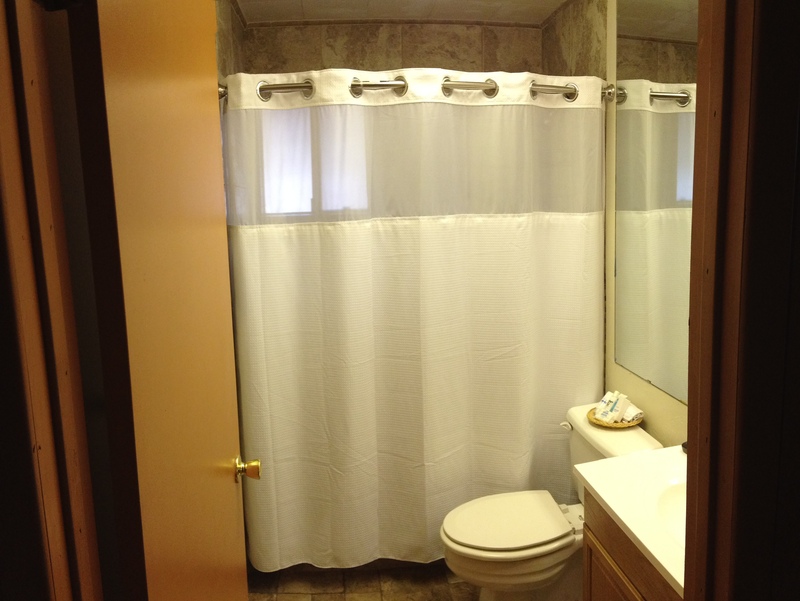 So in winter of 2014 we were able to remodel the bathroom to our standards. The previous owners for so reason felt the need for a small 26x26inch shower stall. This was a very crapped space and actually made the bathroom smaller in feel and look. So after several ridiculous quotes from contractors. We tasked it upon our self’s to do the work with a little help from my folks. 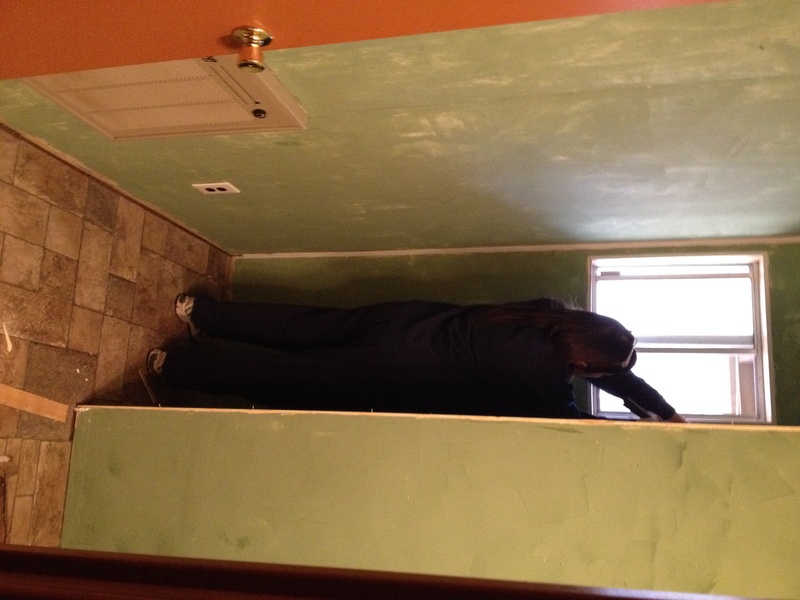 This first photo is of Debbie starting to tear out the shower stall. I could show you more of the whole process but lets just say it went well enough for first time bathroom re-modelers. It took about 10 weekends to do completely and we are very happy with the end result. Tagged Bathroom, Cabin, East Verde River, New, Remodel.